Welcome to one of longest and most exciting Tutorials on this website. Shigeru Miyamoto's masterpiece Super Mario Bros. was released in 1985 for the Nintendo Entertainment System and turned out to be one of the most popular video games of all time. The game is a great example when it comes to good game design. 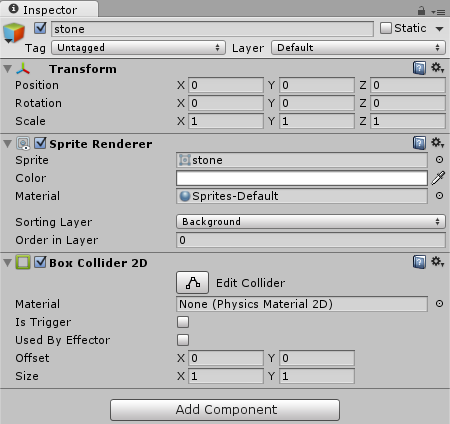 In this Tutorial we will create a small test scene of the game and focus on the core mechanics as much as possible. 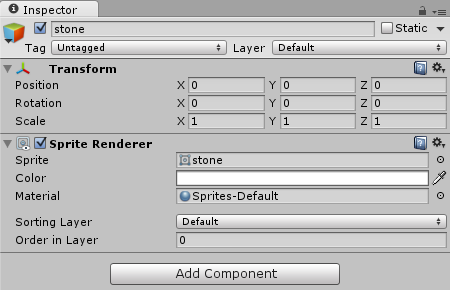 We will use the Unity3D Engine and it will only take 90 lines of code. As usual, everything will be explained step by step and as easy as possible so everyone can understand it. Our Tutorial does not require any special skills. If you are somewhat comfortable around Unity and heard about GameObjects, Prefabs and Transforms before, then you should be able to follow it without any problems. 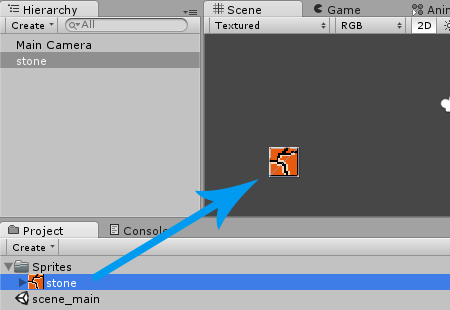 Feel free to read our easier Unity Tutorials like Unity 2D Pong Game to get used to the engine. 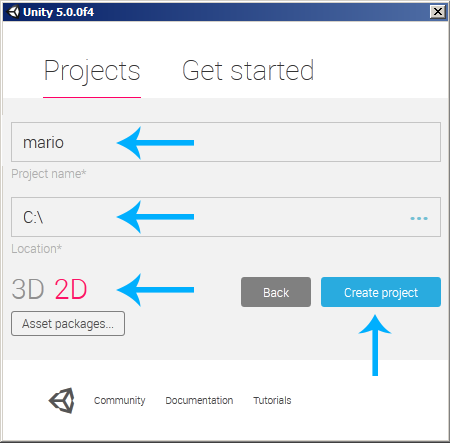 Our Super Mario Bros. Tutorial will use Unity 5.0.0f4. Newer versions should work fine as well, older versions may or may not work. The free version of Unity 5 now comes with all the engine features, which makes it the recommended version. In order to prevent Copyright issues we can't use the original Super Mario Bros. Sprites in this Tutorial. Instead we will draw our own Sprites and make them look similar to the original game. 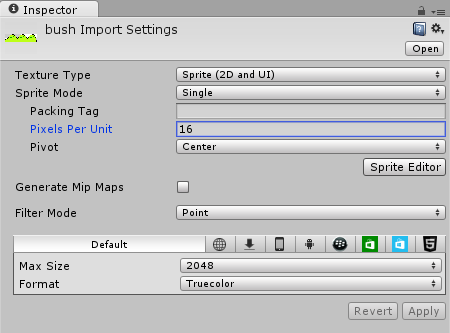 This is where we will put all our Sprites (which is a fancy game development word for images). Note: right click on the image, select Save As... and save it in the project's Assets/Sprites folder. Note: a Pixels to Unit value of 16 means that the size of 16 pixels equals the size of one unit in the game world. We will use this value for all our textures. So if we want to position two 16 x 16 Sprites next to each other we can use positions like (1, 0), (2, 0) and so on. Note: we want to make a 2D game, so we don't really care about the Z coordinate. 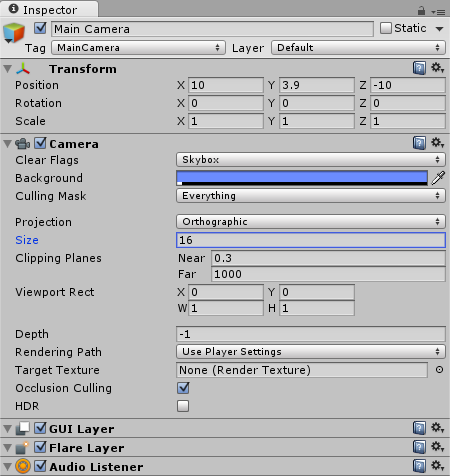 It will be 0 for all objects in our game (except for the Camera). In 2D games we only care about X (the horizontal coordinate) and Y (the vertical coordinate). Since we are in a two dimensional game world, there will be situations where several images are drawn on top of each other, for example when the Mario stands in front of a bush. We always want the bush to be in the background, so that Mario is drawn in front of it (otherwise we wouldn't see him). Note: Unity draws the layers from top to bottom, hence whatever should be in the background will be at the top of the list. Right now the stone is only an image, nothing more. It's not part of the physics world, Mario won't be able to walk on top of it or anything. We will need to add a Collider2D to make it part of the physics world, which means that things will collide with the stone instead of falling or walking right through it. Now the stones are part of the physics world, it's that easy. Note: right click each image, select Save As... and save them all in the project's Assets/Sprites folder. Note: as mentioned before, the Background Sorting Layer makes sure that those objects are always drawn behind everything else. Or in other words, Mario will always be drawn in front of them. Our Unity Super Mario Bros. game slowly starts to look like one! 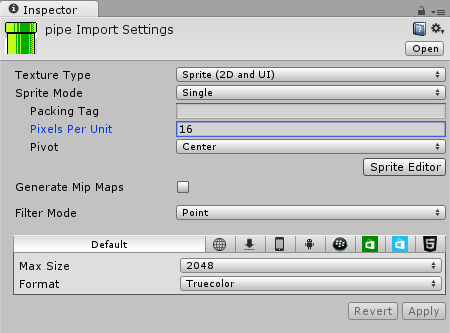 Note: right click on the image, select Save As... and save it in the project's Assets/Sprite folder. Note: even though it's a 32 x 32 pixel Sprite, we still use to the same Pixels to Units value all the time. This is not that much of a big deal, but let's take our time and use a neat little trick to create a perfectly fitting Collider. 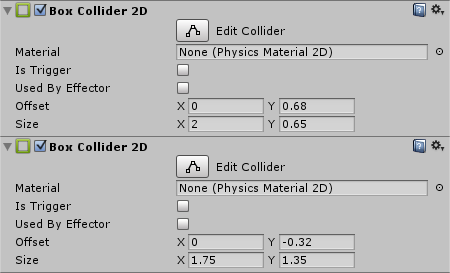 One option would be to just use a Polygon Collider, which would have some performance downsides. Now the pipe's physics are perfectly realistic. It's little adjustments like this that will make the game feel right later on. Enjoyed this preview? Become a Premium member and access the full Unity 2D Super Mario Bros. Tutorial! All Tutorials. All Source Codes & Project Files. One time Payment.